The Charles W. Morgan during its 38th voyage. Image courtesy of the Mystic Seaport Museum. The largest maritime museum in the United States, the Mystic Maritime Museum is dedicated to preserving and educating the public about America’s seafaring history. In addition to exhibiting a collection of ships, logbooks, and other historical objects, the Museum preserves maritime culture and craftsmanship, from blacksmithing and shipbuilding to the homes and shops that made up nineteenth-century coastal communities. The NEH has supported preservation, exhibitions, public programming, and maritime education at the Museum since 1971. 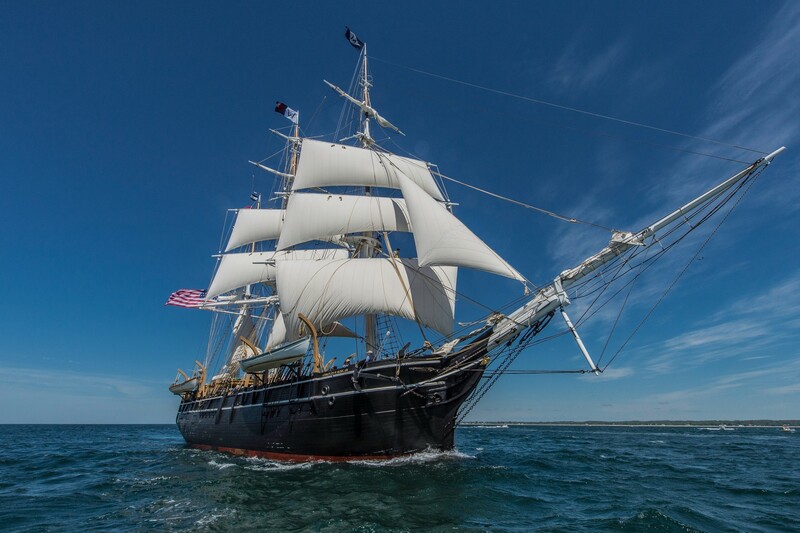 Recently, the NEH sponsored the creation of an exhibition and public programming surrounding the 38th voyage of the Charles W. Morgan, the last remaining nineteenth-century wooden whaleship. And with NEH funding, Mystic Seaport’s Frank C. Munson Institute of American Maritime Studies offered Summer Institutes for College and University Faculty in 2006, 2010, 2012, 2014, and 2016, enabling faculty to become better teachers and researchers of maritime history.